The cat’s out of the bag: Battle for Azeroth will be releasing on August 14, a little over four months from now. As usual, there are several things that will be removed when the new expansion launches, as well as things that will be harder to complete or possibly easier. So today, we’re going over some of the most important activities to complete and appearances to collect before it’s too late. 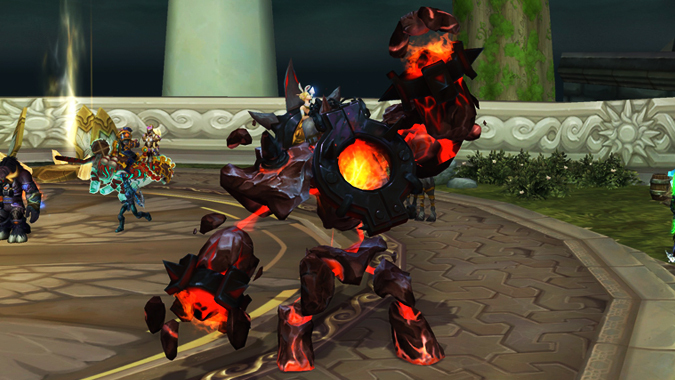 Artifact Appearances: If you’re working on collecting appearances for your Artifact Weapon, there are two specific activities that will be removed at the end of Legion — the Mage Tower challenges and the Keystone Master achievement for completing a Mythic +15 dungeon. Don’t worry about trying to get all the tints for the Mage Tower appearance — as long as you complete the challenge for the base appearance, you can always get the additional tints later. For Keystone Master, the Balance of Power questline itself will not be removed, but you need the achievement for one of the tints. 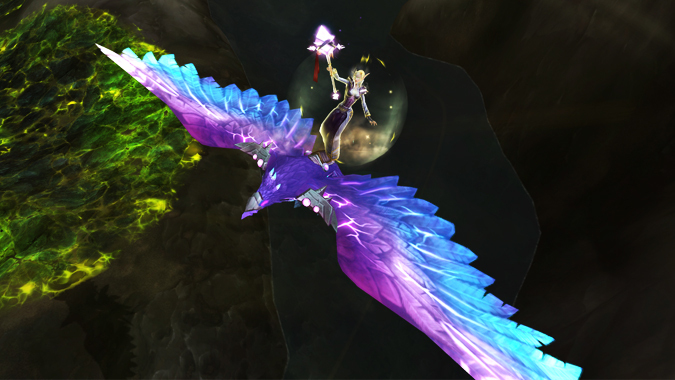 Mounts: For mount collectors, the Violet Spellwing mount from Heroic Argus will be going away as well. It’s a reward from a quest item that automatically drops when you kill the boss, much like how the Reins of the Grove Warden was a reward for killing Heroic Archimonde in Warlords of Draenor. If you can’t get into a group through pugging or Group Finder, there are many guilds who sell Heroic runs or do giveaways. You’ll also get a nifty Ahead of the Curve feat of strength. Professions: First Aid is being removed and incorporated into Tailoring in Battle for Azeroth, so get everything you need for it done before the end of the expansion if you want the associated titles and Feats of Strength. Of particular note is the Field Medic achievement and corresponding title. If you’re just getting started with the achievement, it requires a fair amount of grinding to get the quest items from mobs in each zone. 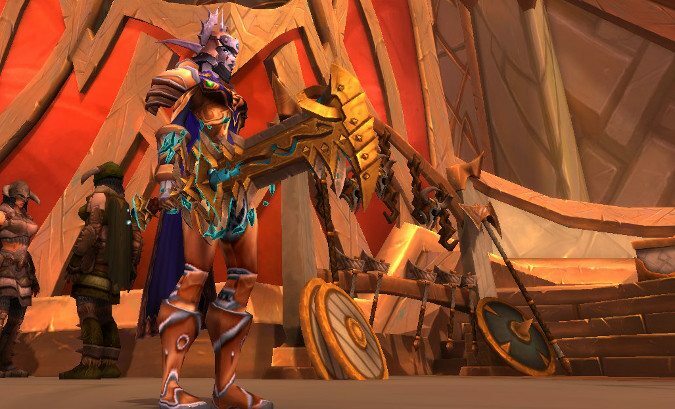 Achievements: In addition to the First Aid achievement and Ahead of the Curve and Cutting Edge achievements (for Heroic and Mythic Argus, respectively), one other feat of strength will be removed — The Chosen. This is awarded by completing Mythic Trial of Valor without dying once. It’s a personal achievement, which means you aren’t affected if anyone else in the raid dies, just you. Mythic ToV is a lot easier with all the gear we’ve gotten from Antorus, but you still need to know mechanics if you dare to try this. Legion Reputations: The Legion factions won’t be going away, but you should complete them now if you want to get exalted or try your luck for the Paragon cache mounts, since it’s very unlikely you’ll want to do Broken Isles world quests in the next expansion. Likewise, if you haven’t delved much into Fishing this expansion, you’ll want to do your rep grinding now for Conjuror Margoss or Fisherfriend of the Isles. Doing it in a group makes it much easier, since more people can fish up the items needed. Conjuror Margoss also sells the Brinedeep Bottom-Feeder mount. Mounts: In addition to the fishing mount, Mythic raid mounts from Gul’dan and Argus will be nerfed to a 1% drop rate when Battle for Azeroth launches. Mythic Gul’dan can essentially be breezed through if you have a geared enough group, but Mythic Argus will take dedicated progression teams. If you have a lot of gold and don’t want to farm them years later, some guilds sell mount runs. Otherwise, you can always go farm it in the future just like Invincible or Ashes of Al’ar. Proving Grounds: Proving Grounds have been a constant for several expansions, and it’s likely that you completed your Silver trial a long time ago. However, if you want the other achievements for 30 waves or You’re Doing It Wrong, now’s the time to get it. Battle for Azeroth will bring a stat squish that will undoubtedly affect how Proving Grounds scale. Currently, they only scale up to Warlords gear levels, which makes things very easy with Legion gear. Transmog farming: The one thing where it’s best to wait until Battle for Azeroth to farm is transmog from old raids. Right now, if you do Normal or Heroic modes from Siege of Orgrimmar through Warlords raids, or any of the old LFRs, it automatically defaults to Personal Loot and scales depending on the number of people. So if you’re farming by yourself, you only have a chance to get loot. For Mythic mode in the older raids, it defaults to Personal loot unless you can make a group with someone and change to Group or Master Loot. In Battle for Azeroth, loot will automatically swap to Group Loot if you’re at least 10 levels above the content’s intended level, similar to how instances in Cataclysm and earlier work. Dungeons will award loot as though there were 5 players, and raids will act like there are 20 players. Because of this, it actually behooves you to hold off on any intense transmog farming until the upcoming loot system is in place. Those are the main aspects of Legion to focus on (or not focus on) before Battle for Azeroth, but that’s not to say they’re the only ones. If you have a particular activity you want done before then, or you think we left something important off the list, let us know!